stripes are in. i think. i always get confused when magazines deem something in or out. as far as i am concerned it's in if you choose to wear it. right? Love love this look. The stripes and colours work beautiful together. You look gorgeous! Love the outfit. There are so many great things about this outfit! 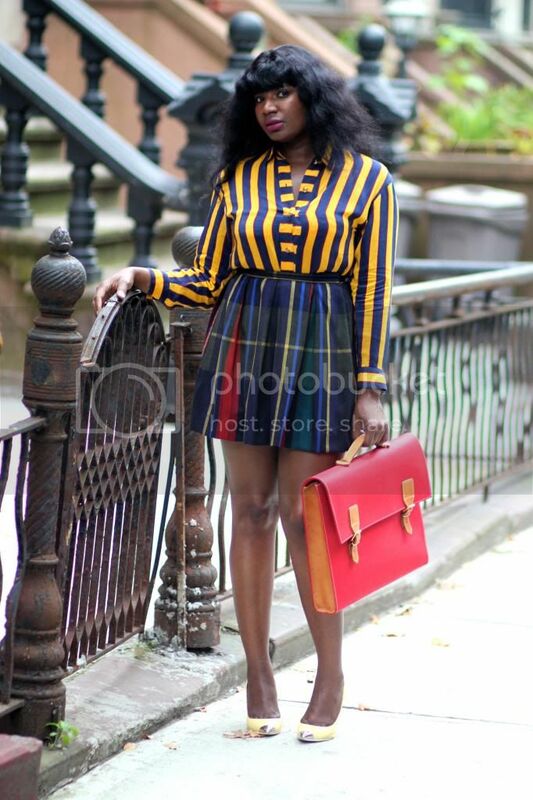 I love the two prints together and that bag is to die for! Love the pattern mixing. Genius styling! This is a beautiful outfit!!! LOVE! !